J. Deng, G. Tyson, F. Cuadrado and S. Uhlig. Keddah: Network Evaluation Powered by Simulating Distributed Application Traffic. To appear in ACM Transactions on Modeling and Computer Simulation (TOMACS). J. Zhou, Z. Li, Q. Wu, P. Steenkise, S. Uhlig, J. Li, and G. Xie. TCP Stalls at the Server Side: Measurement and Mitigation. To appear in IEEE/ACM Transactions on Networking. Jingtao Ding, Zhongjin Liu, Shaoran Xiao, Yang Chen, Yong Li, Depeng Jin, Steve Uhlig. Beyond the Click: a First Look at the Role of a Microblogging Platform in the Web Ecosystem. To appear in IEEE Transactions on Network and Service Management (TNSM). D. Ibosiola, B. Steer, A. Garcia-Recuero, G. Stringhini, S. Uhlig and G. Tyson. Movie Pirates of the Caribbean: Exploring Illegal Streaming Cyberlockers. Proc. of International AAAI Conference on Web and Social Media (ICWSM), 2018. G. Antichi, I. Castro, M. Chiesa, E. L. Fernandes, R. Lapeyrade, D. Kopp, J. Hun Han, M. Bruyere, C. Dietzel, M. Gusat, A. W. Moore, P. Owezarski, S. Uhlig, M. Canini. ENDEAVOUR: A Scalable SDN Architecture for Real-World IXPs. IEEE JSAC, Special issue on Emerging Technologies in Software-driven Communication, 2017. Video describing "Web content cartography"
Steve Uhlig obtained a Ph.D. degree in Applied Sciences from the University of Louvain, Belgium, in 2004. From 2004 to 2006, he was a Postdoctoral Fellow of the Belgian National Fund for Scientific Research (F.N.R.S.). His thesis won the annual IBM Belgium/F.N.R.S. Computer Science Prize 2005. Between 2004 and 2006, he was a visiting scientist at Intel Research Cambridge, UK, and at the Applied Mathematics Department of University of Adelaide, Australia. Between 2006 and 2008, he was with Delft University of Technology, the Netherlands. Prior to joining Queen Mary, he was a Senior Research Scientist with Technische Universität Berlin/Deutsche Telekom Laboratories, Berlin, Germany. Starting in January 2012, he is the Professor of Networks and Head of the Networks Research group at Queen Mary, University of London. Between 2012 and 2016, he was a guest professor at the Institute of Computing Technology, Chinese Academy of Sciences, Beijing, China. I am interested in students with timely and out-of-the-box ideas, at all levels (B.Sc., M.Sc., Ph.D.). As my main interest is measurements-driven research, you are expected to handle real/large datasets. Therefore, you have to be proficient with programming languages such as C(++), Python, Perl, Java. As for PhD theses, most projects I supervise involve measurements as well as real-world data. Only in very limited circumstances will simulations be considered, and only to complement observations from the real-world. For some random ideas about topics for projects or theses, please go to my “research” area or “student projects” sections to get a flavor of the type of projects that you might want to propose. · Yves Vanaubel (Universite de Liege, October 2018): Revealing and Characterizing MPLS Networks. · Philipp Tiesel (Technische Universitat Berlin, March 2018): Multi-Path Aware Internet Transport Selection. · Philipp Richter (Technische Universitat Berlin, August 2017): Empirical Analysis of the Effects and the Mitigation of IPv4 Address Exhaustion. · Tobias Fiebig (Technische Universitat Berlin, June 2017): An Empirical Evaluation of Misconﬁguration in Internet Services. · Xuan-Nam Nguyen (INRIA, April 2016): The OpenFlow Rules Placement Problem: a Black Box approach. · Yi “Aaron” Ding (University of Helsinki, November 2015): Collaborative Traffic Offloading for Mobile Systems. · Alexandre Jaron (King's College London, November 2015): QoS-routing in Future All-IP Access Networks. · He Peng (Universite de Savoie/Chinese Academy of Sciences, May 2015): Design and Evaluation of High Performance Software-based Packet Classification Systems. · Haiyang Jiang (Universite de Savoie/Chinese Academy of Sciences, May 2015): Research on parallelization of network intrusion detection system. · Jordan Auge (Telecom ParisTech, France, November 2014): Flow-aware networking: garanties de performance pour le trafic IP. · Benjamin Frank (Technische Universitat Berlin, Germany, December 2013): Dynamic Content Delivery Infrastructure Deployment using Network Cloud Resources. · Doris Schioberg (Technische Universitat Berlin, Germany, November 2013): From online social network usage to the design of distributed online social networks. · Ingmar Poese (Technische Universitat Berlin, Germany, April 2013): Towards Collaborative Internet Content Delivery. · Peter Dely (Karlstad University, Karlstad, Sweden, December 2012): Architectures and Algorithms for Future Wireless Local Area Networks. · Nadi Sarrar (Technische Universitat Berlin, Germany, November 2012): On Workload-driven Router Designs. · Amir Mehmood (Technische Universitat Berlin, Germany, July 2012): Impact of Network Effects on Application Quality. · Stefano Vissicchio (Universita di Roma Tre, Italy, April 2012): Governing Routing in the Evolving Internet. · Virginie Van Den Schriek (Universite catholique de Louvain, Belgium, December 2010): Improving internal BGP routing. · Pedro Casals Hernandez (Telecom Bretagne, France, July 2010): Statistical analysis of network traffic for anomaly detection and Quality of Service provisioning. · Ashley Flavel (University of Adelaide, Australia, April 2009): BGP is not easy as 1, 2, 3. · Marc-Olivier Buob (Orange Labs/Leria, France, October 2008): Intra and inter-domain routing in core networks. 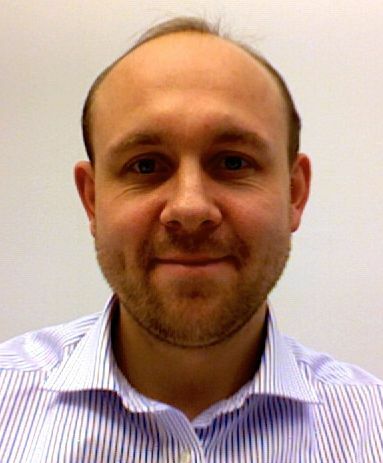 · Anders Gunnar (licentiate thesis, KTH, Sweden, December 2007): Towards robust traffic engineering in IP networks. · Mickael Meulle (France Telecom R&D, April 2007): Inference of business relationships between Autonomous Systems. · Bamba Gueye (LIP6, France, December 2006): Geolocation of Internet hosts using multilateration. · Best paper at ACM SIGCOMM Internet Measurement Conference, 2011. · Annual IBM Belgium/F.N.R.S. Computer Science Prize, 2005. · US Patent 20,120,314,575: Network traffic engineering. Benjamin Frank, Georgios Smaragdakis, Ingmar Poese, Anja Feldmann, Steve Uhlig. 2012. · US Patent 20,120,226,734: Collaboration between Internet Service Providers and Content Distribution Systems. Ingmar Poese, Georgios Smaragkdakis, Benjamin Frank, Anja Feldmann, Steve Uhlig. 2012. · EP Patent 2,495,940: Collaboration between an internet service provider (ISP) and a content distribution system as well as among plural ISP. Ingmar Poese, Georgios Smaragkdakis, Benjamin Frank, Anja Feldmann, Steve Uhlig. 2012. · EP Patent 2,355,423: System and method for routing data packets over an Internet Protocol network. Steve Uhlig, Anja Feldmann, Nadi Sarrar, Robert Sherwood. 2011.